With nearly 10 years of guiding experience. 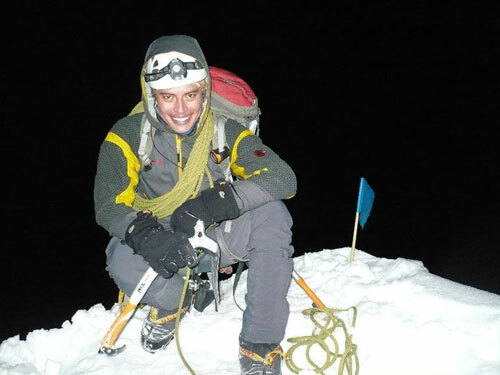 Jose has climbed almost every Ecuadorian mountain and the most significant ones in both Bolivian and Peruvian Andes. Jose is known for his enormous patience and positive energy. His personal feedback reflects professionalism, useful teaching techniques and cooperative skills in multicultural environments. Throughout Jose’s childhood and adolescence, he was involved in Scouting and Mountaineering Clubs, where he embraced principles of environmental conservation and his passion for mountain climbing. Overall, Jose is building his guiding career with the highest ethic and professional standards to ensure safety and enjoyment in every ascent. Cotopaxi 100+ ascents (Northface route); Chimborazo 80 + ascents (Routes: Veintimilla summit, Whymper summit, El Corredor, Nicolas Dueñas crest, Thielmann Glacier, Abras Glacier, Garcia Moreno Glacier, EPAM crest, Travers – Integral; Cayambe (Picos Jarrín route + 50 ascents); Iliniza Sur 20+ ascents (La Rampa Route, East Ridge route (Celso Zuquillo route), Southeast Ridge, South Crest); Iliniza Norte 100+ ascents (Southeast crest, South crest, northwest crest); Antisana (normal route); Altar (Obispo route, Italian route, Monja Grande peak – attempt); Sangay (normal route). It was an awesome trip. The itinerary was optimized for the time frame. Great places to stay and eat. They modeled the way in everything they did.